Cocoa Butter Shower Massage bars are solid moisturisers made with raw cocoa butter, shea butter and coconut oil. 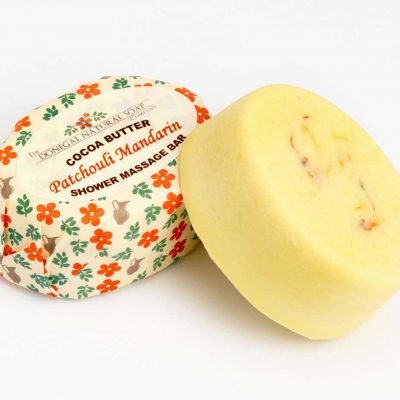 The bars are designed to be massaged into warm wet skin at the end of the shower. 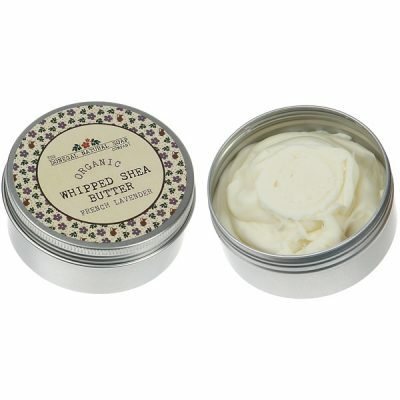 This allows the skin to get the most therapeutic benefit from the nourishing butters and aromatherapy essential oils. 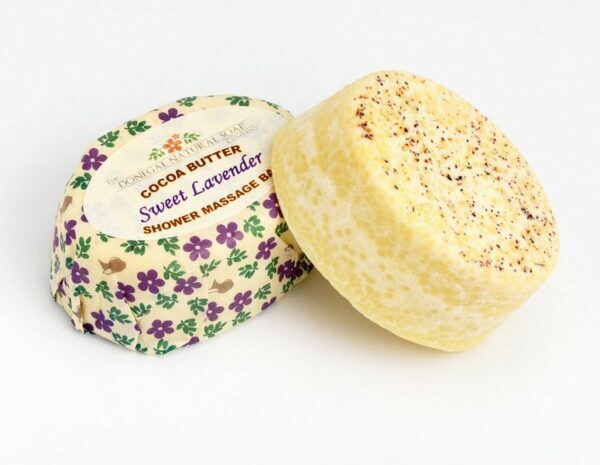 Great for dry winter skin. 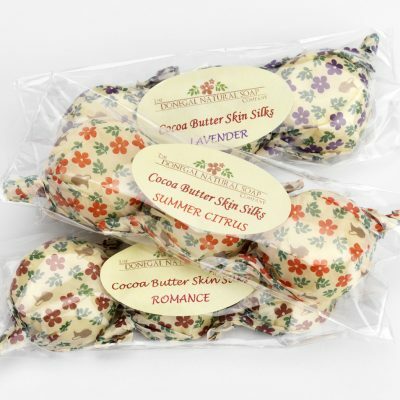 hardened skin patches or as an after –sun treatment. 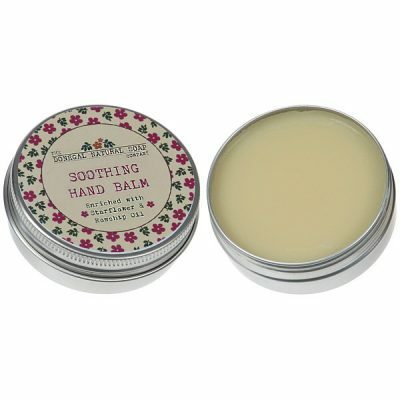 Scented with Lavender and Ylang Ylang for a sweet herbaceous scent.